The SG01-Evolution was created to further enhance the appeal of the original SG01. The challenge was to develop a small form factor enclosure that was capable of handling the future generations of ultra high-end graphics cards running in parallel while keeping its delightfully slim dimension intact. 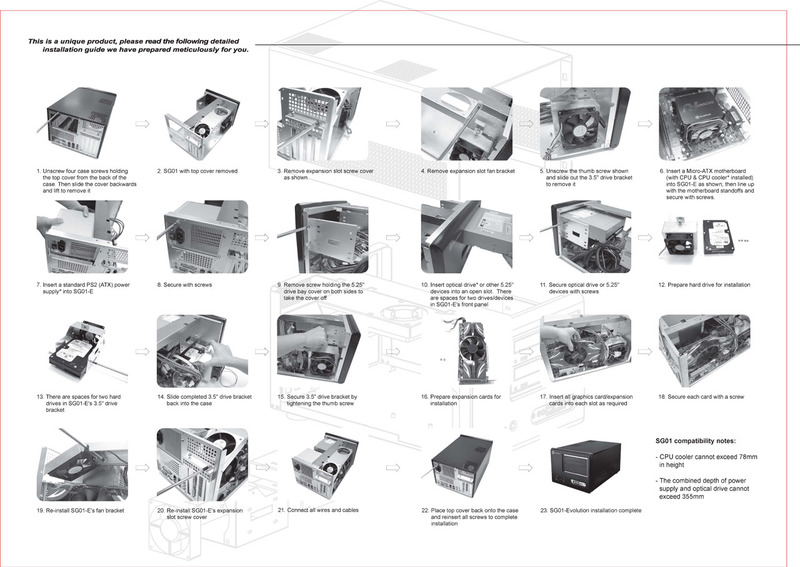 In order to achieve this, SilverStone's talented engineers devised a completely new fan bracket that can accommodate fan sizes greater than what is allowed with conventional layout. Overall ventilation is also increased thanks to enlarged vents all around the case. With the ability to accept larger ATX power supply or optical drives than any other SFF case available, the SG01-Evolution is a great addition for any enthusiast looking to get a powerful yet small workstation or gaming machine.